In their ongoing search for an economic, reliable alternative to diesel, Tri-Modal began tracking electric yard truck development. According to Owen, “Initial port demonstration projects were disappointing due to the early technologies. We then spoke with fleets that have been heavily operating Orange EV trucks for years, proving that Orange EV’s newer patent-pending technology does the job. These fleets indicate that downtime is minimal, maintenance and fuel costs are reduced, and Orange EV is committed to both their customers and ongoing product development. Orange EV provides a solution to the increased costs associated with diesel equipment.” Moderate-use sites report annual savings of $30,000 per Orange EV truck in fuel, maintenance, and emission control related costs; heavier-use sites can save much more. 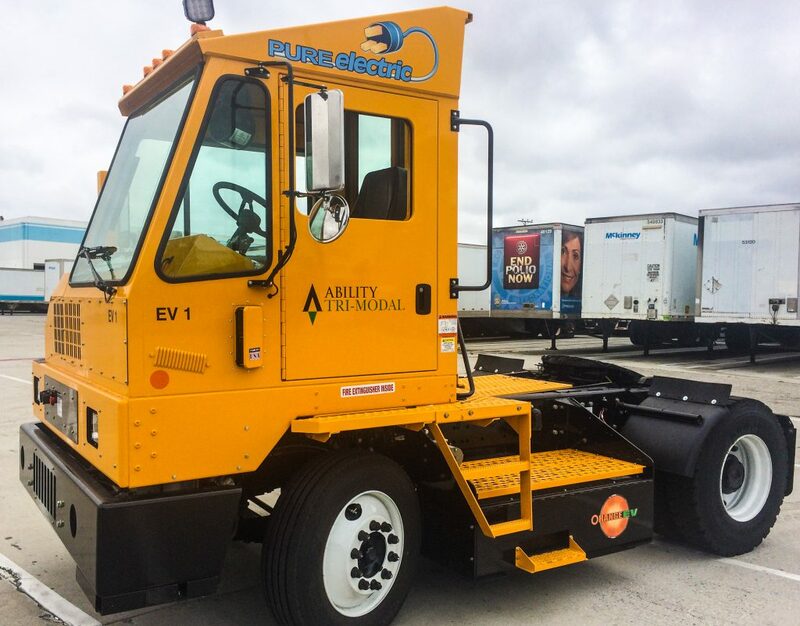 The Orange EV deployment is just the latest initiative in Ability Tri-Modal’s efforts to “think green” like the Port of Long Beach, operating as efficiently and sustainably as possible. The company has been honored on multiple occasions by the Ports of Los Angeles and Long Beach for early adaptation to the ports’ Clean Trucks Program, and operates a 100% clean truck fleet, in compliance with rigorous port and state requirements. Looking to the future, Tri-Modal plans to install solar panels to charge its growing fleet of electric equipment with electricity generated on-site. 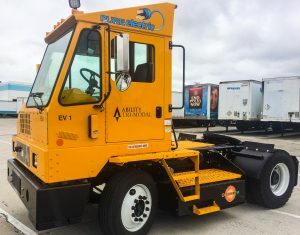 Ability Tri-Modal utilized funding from the Hybrid and Zero-Emission Truck and Bus Voucher Incentive Project (HVIP) to purchase their Orange EV trucks. HVIP is currently open, offering incentive amounts of up to $175,000 per Orange EV terminal truck. Ability Tri-Modal Transportation Services specializes in in trans-loading, consolidation and de-consolidation, warehousing, retail delivery, and a variety of value-added services. With operations in Carson, California and Ladson, South Carolina, Ability Tri-Modal is a proven, award-winning transportation company that is rooted in its devotion to superior customer service. The company continuously meets and exceeds expectations through highly versatile customer solutions, operational excellence, and results-driven attitude. Ability Tri-Modal’s motto, “Service Above Self” fuels the passion, innovation, and mission to execute measurable benefits to the customer. Kansas City based Orange EV is the leading OEM providing industrial fleets with heavy duty electric vehicle solutions that are proven to save money while being safer, more reliable, and preferred by drivers and management alike. Orange EV trucks meet the most rigorous duty cycles and 24×7 shift schedules while eliminating diesel fuel and emissions. Building both new and re-powered terminal trucks with patent-pending technology, Orange EV was the first and is still the only manufacturer offering 100% electric Class 8 vehicles that have been commercially deployed and re-ordered into container handling operations. For information contact: Mike Saxton at 866-688-5223 x702, MikeS@OrangeEV.com or via OrangeEV.com.